a. Title, name, telephone number, e-mail address, postal address including postcode, access requirements, nationality, business details. b. Transaction information: including payment method, reservation and booking details. c. Guest stay information, including dates of arrival and departure, special requests made, observations regarding room and food and beverage preferences, telephone numbers dialled, information necessary to fulfil special health condition related requests. Where you book accommodation for other people, we may ask you to provide the above information about them (e.g. we will usually ask for the title, first name and surname, e-mail address, nationality and preferences of a person for each room you book for identification purposes). You should only provide us with information about other people if you have their permission to do so. a. To provide and charge for accommodation. Data is used exclusively by the Harbour’s Reach. Data collected will not be passed on or sold to any other third parties. 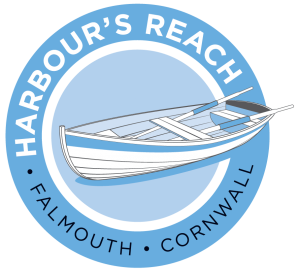 Harbour’s Reach does not store any credit card details. Any data stored has been kept in accordance with the Data Protection Act 1998 and from 2018 the General Data Protection Regulation. Card data is kept for the time required to process a transaction or reservation. We will keep your details while you are an active customer or for a period of three years whichever is the longer. We take the security of any personal information we hold very seriously. 5. Cookies and the Harbour’s Reach website. Our website does not sell products or services for purchase by children (under the age of 16) and we do not solicit or collect personal information from children. We will abide by any request from you not to send you direct marketing materials. When such a request is received, your contact details will be ‘suppressed’ rather than deleted. This will ensure that your request is recorded and retained unless you provide a later consent that overrides it.